Local government has said its relationship with the rail industry 'should be stronger' with more engagement, partnerships on housing and development, and streamlined financial procedures. In their submission to the Williams Review of the rail industry, councils said the financial processes around rail could make co-operation seem impossible, even when they were trying to give money to the sector. 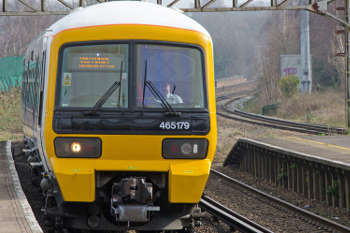 The Local Government Association (LGA) said that the rail industry could learn from Highways England and its 'renewed corporate focus on serving its customers has begun to lead to better engagement with local government and better outcomes for road users and tax-payers'. Behind closed doors, councillors at the LGA have often complained about their relationship with Network Rail, which has been seen as distant, unhelpful and unco-operative at times. The Williams Review, led by John Lewis deputy chairman Keith Williams, was billed by Chris Grayling as a 'root and branch review of rail'. The Government will publish a white paper on the review’s recommendations, with the implementation of reforms planned to start from 2020. In its submission, the LGA said railway investment funding processes were 'much more complicated than those associated with other local transport investment even when local authorities are effectively trying to give money to the railway system'. A few core areas for better working were highlighted with engagement and housing high on the list. 'There is an obvious alignment of strategic priorities with the rail industry seeking to dispose of land to fund improvements and the desire of local authorities to secure additional land for housing and economic growth,' the LGA said. The LGA added that local authorities were well placed to work on housing development in partnership with Network Rail and others. It also highlighted that it is 'imperative that major works to stations are done in co-ordination with local regeneration programmes' and is supportive of member councils’ bids for greater influence on the rail industry' through devolution.